Fine fabric artist Jean Bull held a reception for her most recent show, last night at Artspeak Gallery. Bull began her career in textile art by working in the home decorating business and developed her love for fine fabrics and patterns. 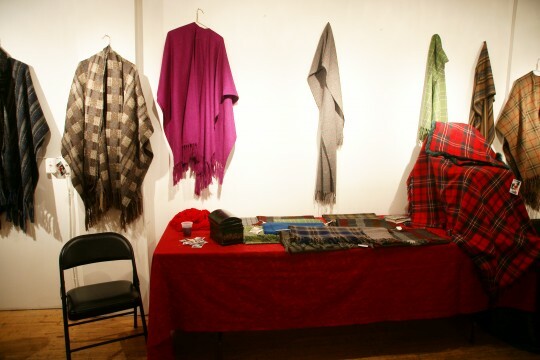 Between shawls, pillows, wool sweaters, tartan scarves and purses, Bull’s work spans through a great variety of products and pieces of art. The fabrics and chintz Bull uses are from a number of vintage cloth stores north of Chatham, and some bolts of cloth she purchased are truly vintage, having been produced in the 1960’s. 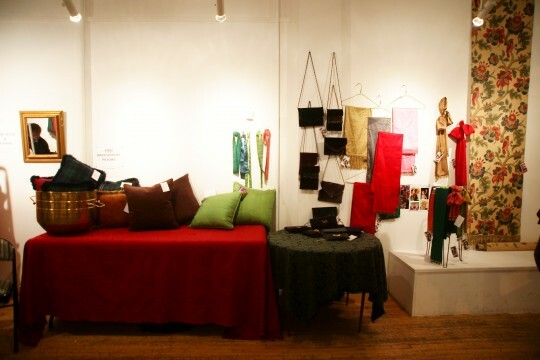 Jean Bull’s Fine Fabric art show continues today at Artspeak Gallery, 1942 Wyandotte St. East, between 11-4pm.